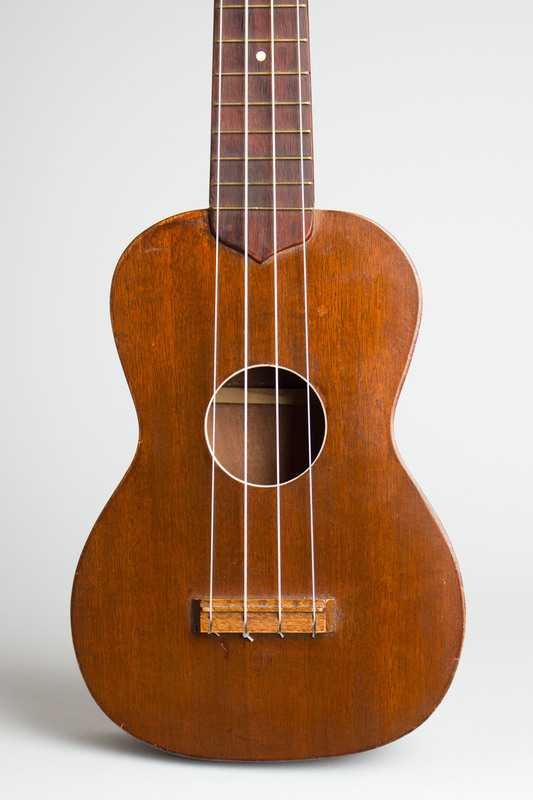 Regal Soprano Ukulele, c. 1930, made in Chicago, natural lacquer finish, mahogany body, poplar neck with rosewood fingerboard. 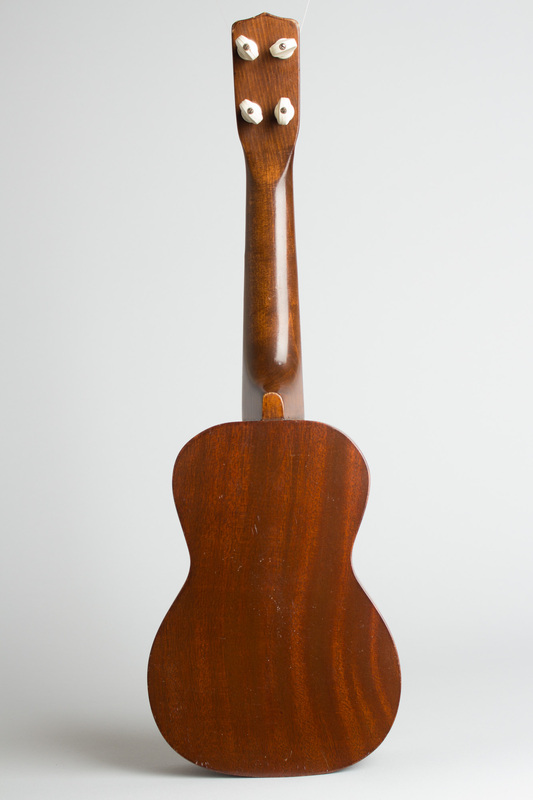 Overall length is 20 7/8 in. (53 cm. 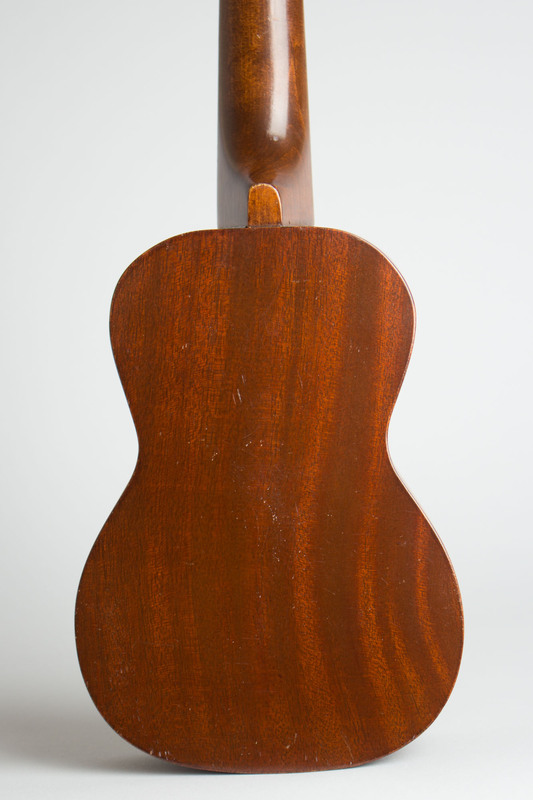 ), 6 3/4 in. (17.1 cm.) wide at lower bout, and 2 3/8 in. 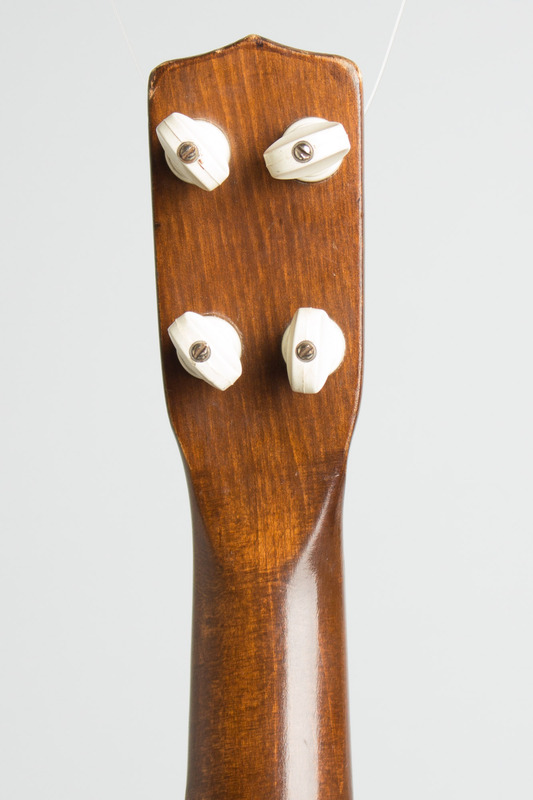 (6 cm.) in depth at side, taken at the end block. Scale length is 13 1/4 in. (337 mm.). Width of nut is 1 1/4 in. (32 mm.). 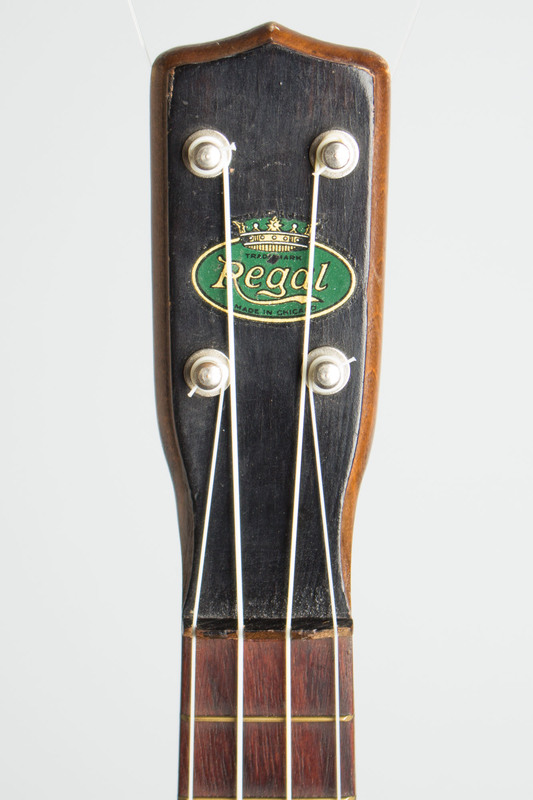 This unassuming but solidly made "genuine mahogany" uke is typical of late 1920s and early '30s Regal product, with the company's signature carved ledge around the long headstock edge and "crown" Regal decal on the face. There is some light playwear here and there and dings to the top but no damage or repair except a couple of small chips out of the nut. 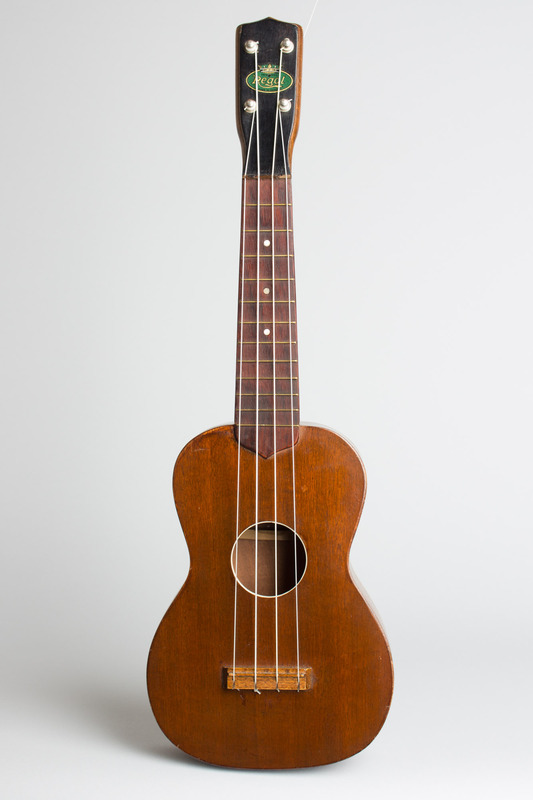 This is a plainer-looking but better-sounding instrument than the plethora of birch-bodied decorated ukes of this era, with a nicely mellowed tone and plenty of volume. Excellent - Condition.